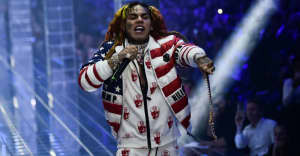 6ix9ine faces life in jail if found guilty of the federal crimes. 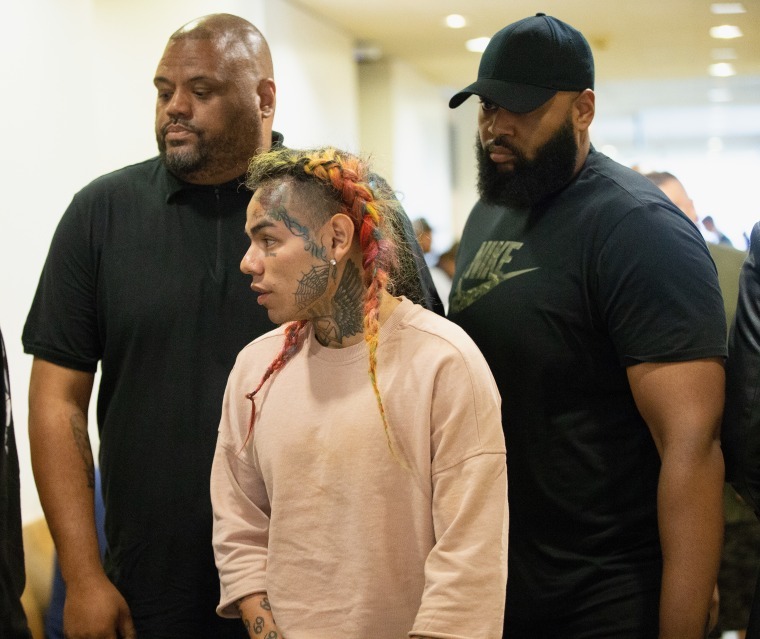 Tekashi 6ix9ine has been arrested on federal crime charges in New York. The rapper, real name Daniel Hernandez, was arrested on Sunday night on racketeering and firearms charges. Hernandez was arrested alongside his former manager, Kifano Jordan, plus associates Faheem Walter (aka Crippy), Jensel Butler (aka Ish), Jamel Jones (aka Mel Murda), and Fuguan Lovick (aka Fu Banga). The eight-count indictment, viewable on the Department of Justice website, states that Hernandez and the other defendants “participated in the operation and management of” the Nine Trey Gangsta Bloods. Two of the firearms charges Hernandez faces have a maximum sentence of life in prison. The charges laid out by the DoJ include robbing gang rivals on April 3 and a July 16 shooting incident in Brooklyn which left an innocent bystander shot. The investigation was conducted by the U.S. Attorney’s office with the NYPD, the Bureau of Alcohol, Tobacco, Firearms and Explosives, and Homeland Security. It was reported last week that Hernandez had fired his whole team, including Jordan (better known as Shottie). In October Hernandez was sentenced to four years probation, including 1000 hours community service, after pleading guilty to a charge of use of a child in a sexual performance in October 2015. This latest incident marks Hernandez's third arrest of 2018. In May, he was taken into custody following allegations he assaulted a 16-year-old in Texas. Later that month he was arrested in Brooklyn for allegedly assaulting a police officer and driving with a suspended license. The FADER has contacted a representative for 6ix9ine for comment.